Steps in how you could start setting up your JuanTax account. We've made it simple for you to set up your JuanTax account and be up and running in no time. Right at the home page, you can click on Get Started with JuanTax or Sign Up For Free. We will also require that you tell us you are human by clicking on the Captcha box. 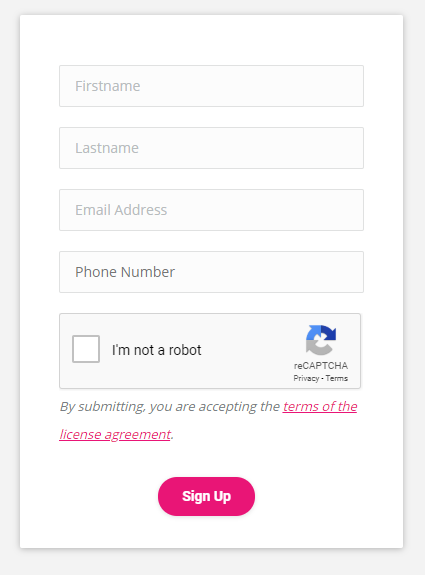 Check the I’m not a robot captcha box, then click Sign Up. 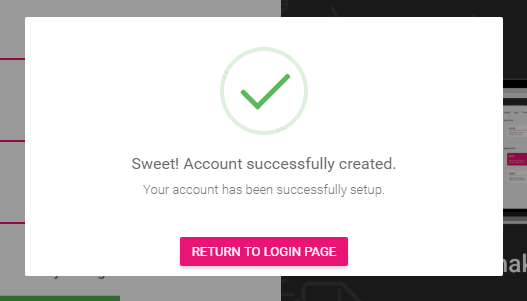 A confirmation message showing successful registration will pop-up on the screen with instructions on how to activate your account. Our system will send you an automated email with an account activation link. In your email inbox, look for an email from JuanTax and open it. Click the confirmation link: Confirm my E-Mail. If you cannot find this email, please check again in a few minutes or check your “spam” folder. 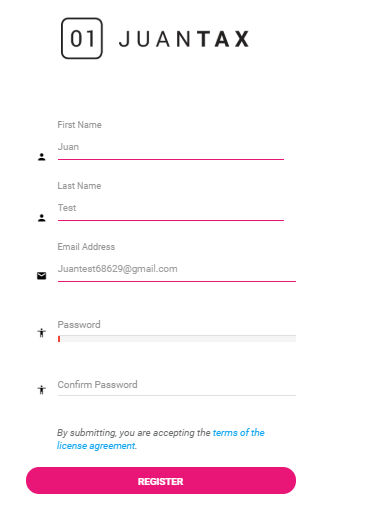 Upon clicking the Confirm my E-Mail button, you will be directed to JuanTax to continue with the sign-up process. Fill in the necessary fields and click the Register button to finish activating your account. Note: For the security part. Enter your password. Not just some password. Has to be a combination of at least one capital letter, a number, and a special character. 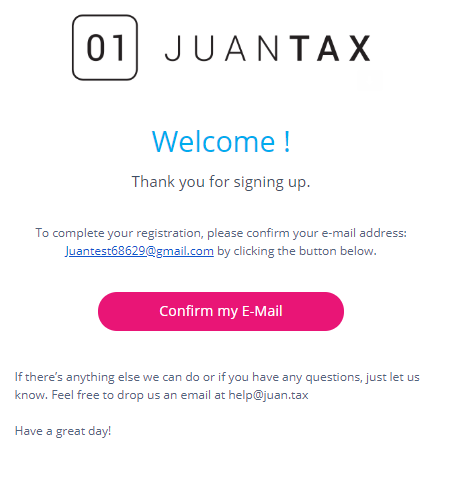 A message will show on the screen, saying you had successfully created an account with JuanTax. Click RETURN TO LOGIN PAGE button.